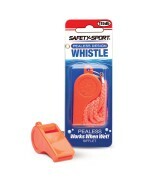 DOG HORN HOLSTER by SAFETY-SPORT. 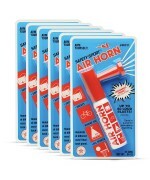 Securely attach your DOG HORN or 1.8 oz Safety-Sport Air Horn (not included) to your belt, pants, shorts, purse strap, backpack or anywhere that can be clipped. 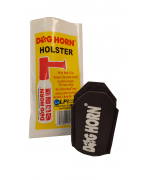 Made of durable leather with elastic material and a sturdy steel clip, this holster will hold your DOG HORN / Air Horn securely while being active. 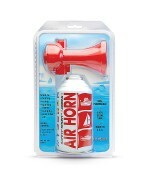 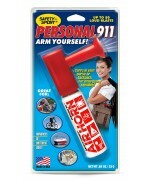 Now you can conveniently carry your DOG HORN /Air Horn while walking your dog, jogging, boating, biking or any other outdoor activities that may require a signaling device for training, getting attention, or deterring attacks!